CRM, Sales Processes, Accountability, Lead Response, Marketing and Social Media. Could you replace the AutoResponder? This got me to think. We live in a society that people want their info now! Just look at the instant response with text messages, and instant access to the internet for info. People who are submitting a lead are on the computer and are requesting info that they would like as soon as the request it. Most dealerships send out an AutoResponder. I advocate the use of an AutoResponder. It acknowledges that their lead has been received. It’s an instant personalized response that shows the dealership is quick to respond. It allows the dealership time to work on getting back to them, answer questions, etc. It is great for after hours where someone normally wouldn’t be able to answer their email. But if the above statistics are correct, the email with the highest open rate is that first email. A huge opportunity that is being filled by an AutoResponder. This has got me to think, if the dealer can respond fast enough, could they send an actual email back versus an AutoResponder? If the customer just sent in the lead they are still at their computer. If they have a question, want price, check inventory, etc,. For example, if a customer is looking for a vehicle and wants to know if the dealership has it in red. He sends in a lead asking about it and the email he gets back says, “Thank you for the submitting a lead.” Maybe adding something to like, “We are working on it”, or asking some follow up questions “do you have a trade?, what were you looking to put down? etc. How much better would it be if they were able to answer their specific question on the first email back to the customer? I think that people understand that the first response is just an automatic scripted AutoResponder. How much would it surprise them if you actual were responding to their questions instantly? I know this might be a great idea, but how would you implement it? A salesperson or other assigned person would have to be responsible and always be ready to answer the lead? If a salesperson didn’t respond within 5-10 minutes then an auto responder can go out? You could use a detail Internet Lead Response Time Report to make sure they are responding instantly and not missing any. Anyways, what are your thoughts? 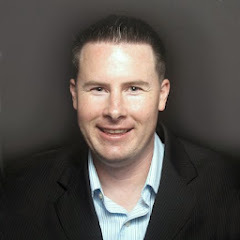 Hunter Swift is the Director of Sales Development at DealerSocket and has been with the company since 2005. In addition to his current role, he has fulfilled the responsibilities of customer support, consulting, training, and sales. Hunter specializes in helping dealerships improve sales and follow-up processes through the use of CRM technology. He is known for his ability to connect with people and demonstrate his knowledge to help others solve their problems. Hunter honed his dealership skills as a salesperson prior to joining DealerSocket. He has earned a Business Degree from Pepperdine University. Hunter can be reached at hswift@dealersocket.com and on social media at @HunterSwift. Listen to my Interview on Auto Dealer Live. It's things like this that make it all worth it.